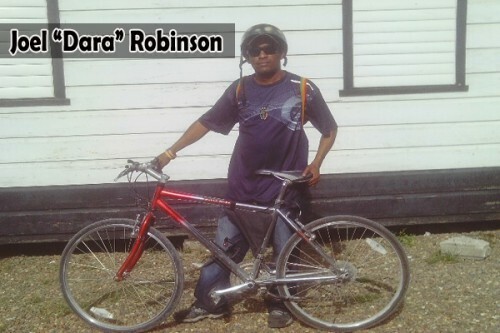 Well-known grassroots Belizean humanitarian, Joel “Dara” Robinson, of Belize City, is once again embarking on two annual ventures through which he aims to raise funds to support his feeding program which caters to needy primary school students on school days. Today, he visited our compound and told us about both the 3rd Annual Ride for Hunger, which takes place on Sunday, July 27, and the 7th Annual Tribute to Lucky Dube, which is scheduled for the following Sunday, August 3. The Ride for Hunger will start from SMART’s Headquarters at 2 ½ Miles on the Philip Goldson Highway at 6:30 a.m. sharp and will make its way up to the Burrell Boom Cutoff at Mile 13, where the riders will turn left into the Burrell Boom/Hattieville Road and travel to Hattieville on the George Price Highway. From there, the riders will journey back to Belize City, passing through the Central American Boulevard and concluding the ride at SMART. Dara told us that he is pleased with last year’s turnout of over 300 cyclists, and added that this year, there will be two 10-minute breaks in order for riders to rejuvenate themselves along the way – the first being at the CDS Gas Station on the Burrell Boom/Hattieville Road, and the second at the 8 Miles Community on the George Price Highway. Robinson emphasized that the purpose of the event is to continue his initiative to feed hungry schoolchildren in his area, and he invites all members of the public to partake in the ride, not only to get a good Sunday workout, but to bring awareness to the challenges we face as a society in regards to poverty and underprivileged families. He also noted that it will not be a race, so anyone can feel free to join in. Police escorts and medical personnel will be on hand, and there will be refreshments and water along the way and at the end of the ride. The registration fee is $5.00 and registration begins at 5:00 a.m. on the morning of the ride. Dara is also a reggae music lover, and is planning his 7th Annual Tribute to the late, legendary reggae singer, Lucky Dube, which will take place on Lucky Dube’s birthday on August 3rd at the Bird’s Isle in Belize City from 4:00 p.m. to 12:00 midnight. The show will feature live videos of Lucky Dube and other artists on “the big screen”, as well as music from local DJs such as the Mad Rocka, Unity Sounds, DJ Vintage, DJ Dalla, DJ Biggs, and Cloud 9 Sounds, all backed up by Stone Jam Sounds. Dara stated that the entrance fee will increase from $7 to $10, since there will be police security to ensure everyone’s safety, and he encourages supporters to come out early and enjoy the conscious reggae vibes, and to bring along canned food or school supplies that they wish to donate at any of the events. 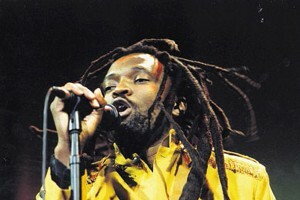 According to Robinson, another Tribute to Lucky Dube will take place on Saturday, August 16, in Dangriga, to accommodate his southern supporters.